Not all heroes wear capes—some wear false eyelashes. This was the mood at the Hilton Houston Post Oak last weekend when The Makeup Show came to town. This year marked the first in Houston for the traveling industry expo, which rerouted its Southern tour stop here from Dallas, which was its Texas hub for the last four years, to make it easier for Bayou City pros—including many who'd regularly traveled north to DFW—to participate. With more than 50 beauty brands represented, The Makeup Show's new location did not disappoint. The event made it a point to prioritize accessible beauty while still paying homage to industry innovators. 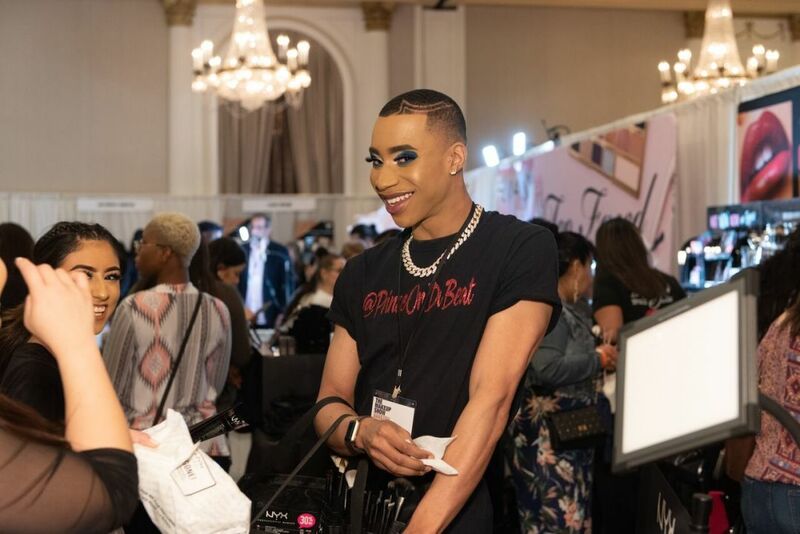 Household names like Too Faced, Mario Badescu, FRENDS Beauty Supply, Nyx, and Smashbox were all in attendance, as were some newer brands like Twinmedix and Rebels and Outlaws, the brand from James Vincent, one of artists responsible for The Makeup Show. Exploring the brands in an expo-like setting is certainly a big part of The Makeup Show experience. 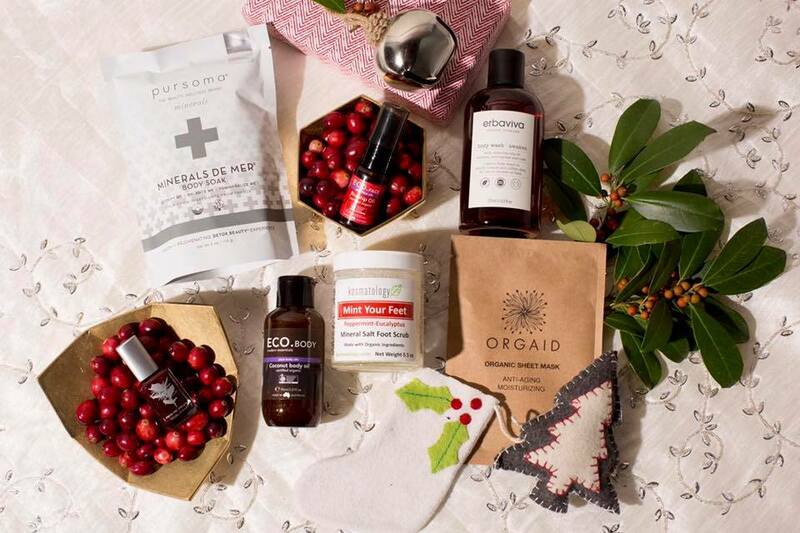 But while the discounted products alone make the show a must-see for beauty aficionados, the educational aspect is really what leaves an impression long after the bronzer comes off. If makeup artists had a mecca, this would be it. The show does an excellent job of showcasing beauty standouts like Sam Visser, famous for his work with the Kardashians; Pati Dubroff, the go-to MUA for stars like Margot Robbie and Priyanka Chopra; Danessa Myricks, a former director of innovation for Benefit Cosmetics and master in multi-dimensional application; and more. 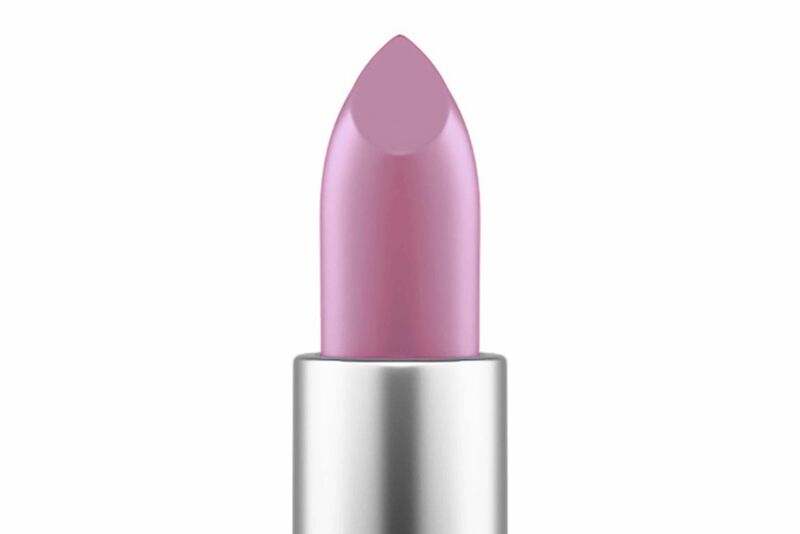 It's a beauty school experience that's sure to influence artists and hobbyists alike. Last weekend, every seminar room in the Hilton was filled with industry elites who advised on everything from achieving the ultimate smoky eye to building your own beauty brand. 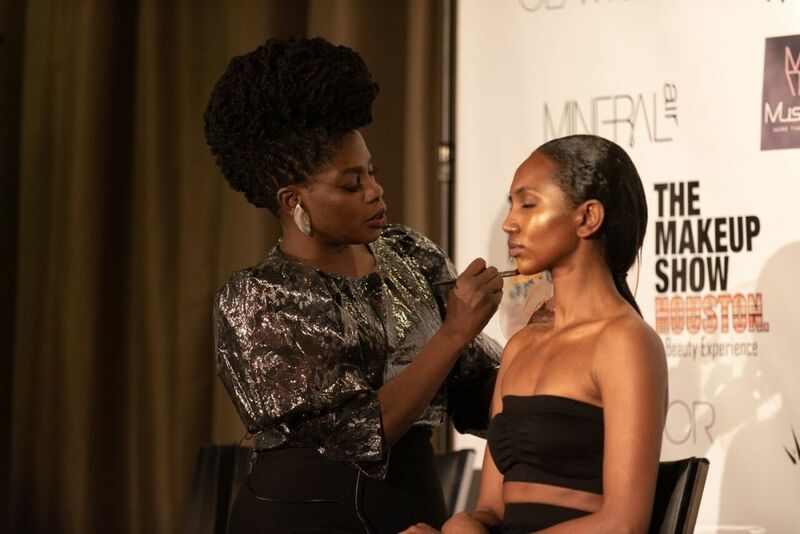 Aside from packing the house, The Makeup Show proved you never have to choose between beauty and brains—the show's talented assortment of pros managed to offer both to the public with grace, authority, and a seriously poppin' highlight. Building industry connections is a massive part of the show, too, and attendees cannot sleep on the serious networking opportunities. Everyone who is anyone in the beauty world shows up here, so it’s easy to understand why owner Shelly Tagar chose to move her show to Space City following the aftermath of Hurricane Harvey, citing a commitment to building up this community and reaching more struggling local artists with limited resources. Given last weekend's line just to park, it's safe to say H-Town is feeling the love. 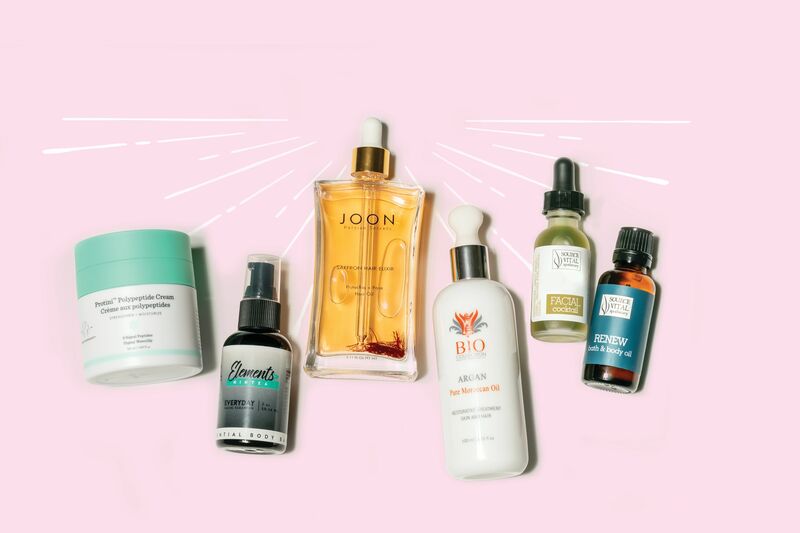 With Houston as the new Southern hub for The Makeup Show and with trends like glitter, metallics, and dewy glows to look forward to, it’s also safe to say that the future looks bright. If you want to stay ahead of the next brow trend (spoiler alert: this year it’s all about a natural look), use your now so-last-season brow pencil to mark your calendar for The Makeup Show’s 2020 return.